You Are Here: Home » Misc » What Should My Baby Be Doing At 3 Months? Posted by :Dawne Dale Posted date : March 16, 2015 In Misc Comments Off on What Should My Baby Be Doing At 3 Months? Your toddler now turned 3 months. Every month and every day will be a roller-coaster ride with the changes in the baby’s routine. It’s time to know what should my baby be doing at 3 months. The baby is now working tough to become mobile. The neck and head muscles of the baby become stronger and the baby learns soon to roll over. Start changing the baby’s nappy on the floor now. Babies always want to surprise with the newfound abilities they have acquainted with. The baby starts babbling at you. Start talking to the baby all the day now this helps to develop his or her language ability. Baby can now know what you are doing just talk and explain what you are doing for instance you are loading clothes into the washing machine. During the third month, the baby is getting stronger. Now your baby may start to lift the head when lying on the back and it can hold it for few minutes. With some kind of support, the baby may hold the head erect and steady. Be watchful you can notice baby lift the head and chest when lying on the tummy. The posture resembles as if the baby is about to do pushups. Encourage the baby to move forward by sitting in front of the baby or dangling some toys. The baby pushes itself forward to reach you or get the toy. When Will The Baby Roll Over? Lay your baby on the tummy. You may be amazed to see the baby rolling over on the back. The knee, elbow and hip joints of the baby are stronger now and more flexible and make it easier for the baby to lift up. The baby rolls over without any warning to surprise you. Never leave the baby unattended while changing the nappy there are chances of the baby rolling over suddenly. The baby waves the arms by kicking the legs passionately. If you hold the baby up with legs on the floor and the feet touching the ground, the baby starts pushing down the legs downwards. Baby plays with the fingers by opening the fists and uses closed fist to dangle the objects. You can help the baby for hand and eye coordination by handling a toy and see if the baby can grasp it. When Will The Baby Sleep All Through The Night? By three, months or four months the sleeping pattern of the baby may have settled. This might give some respite for the sleep deprived parents. Some of the babies may sleep through the night during this month waking up only for feeds in nights. Most of the babies might not be able to sleep through the night for about six months. But if the baby is still keeping you awake whole night, be hopeful, this does not stay for long. Does My Baby Have An Attachment To Me? Probably before three months or when the baby is about three months it recognizes you are special. But, the baby may still smile at the strangers, especially when in straight eye contact or when the stranger may talk or coo at the baby. Definitely the baby prefers some people comparatively to others. The hand and eye coordination is governed by the parietal lobe of the brain. The parietal lobe develops rapidly at this stage allowing the baby to recognize the objects. The temporal lobe of the brain that helps with language, hearing and smelling is also active now. When the baby hears your voice, it looks at you directly now and try talking back to you and gurgling. Can My Baby Understand My Reading? It is too early to read stories for your baby. Your baby is too young to understand. However, this helps your baby in developing better language skills and a listening ear to varying rhythm of the speech. Capture your baby’s attention by varying the pitch of your voice. You may also sing for the baby. Not to worry if the baby took off eyes from you or even loses concentration. Baby might need some rest or try doing something new. Until this time, if you have not recited story to your baby. Now it’s a good time to do so. Try implementing story reciting as a bedtime routine. You may find plenty of books available for your baby’s story time. When you are shopping for your baby’s story time, include board books with a lot of colorful pictures. You can point to the pictures and talk about those bright pictures. You can also add books designed for older children as long as a book has some crisp, clear and bright pictures. The pictures will catch the interest of the baby. Read poetry to your baby you may include Shakespeare also as long as it is musical. Babies get delighted to things they do not understand due to the musicality. How Can I Make My Baby Understand Words And Use Them? Baby by now might start gurgling and babbling routinely. Talking to the baby will help the baby to understand the words. Baby starts developing the skills of conversation. Engage the baby with different sounds and words. You can see the baby babble with you as you speak. Start talking to the baby during play time, while changing the nappy and routine activities. Singing, talking and making different noises helps the baby in developing communication. It makes easy to express the feelings of the baby. Take your baby to roam around the shops. As you walk through the aisles point to the things and you can name them. If you witness, your baby engaging and flashing smiles, cooing and oohing at others. It is great that your baby’s social skills just started blossoming. Now the real fun begins. Enjoy! Make sure to keep your baby with you when your friends are around and the baby can hear the conversation. Though your baby is not able to repeat the words buy definitely can store in the quickly developing memory. If you are using more than one language (say if it is bilingual) at home, then your baby will be trained with double languages. As the baby hears both regularly spoken, helps broadening the linguistic skills. Knowing another language strengthens the English language knowledge. You want your baby to speak more than one language then you as well as your partner talks to the baby in the mother tongue. This helps baby in picking up both the languages easily from the young age. Do My Baby’s Touch Sense Have Develop? Now your baby will reach out to the things around and touches them. Stimulate the touch of the baby by varying the objects made of different materials. Use velvet, faux fur, toweling, felt and tissue or books that can make the touch a part of reading. Baby recognizes your touch and loves it. Carrying, lifting, massaging, rocking and stroking the baby helps it to relax. The attention span and alertness increases. Is The Baby’s Development Normal? Every Baby’s development is unique. They meet the milestones of physical development at their own pace. These guidelines are generic and provide outline of baby’s development. If you do not witness these developments, you will see them soon. Development of the premature baby is measured against the corrected age and not against the chronological age (actual Birth Date). The health visitor or doctor will analyze the development of the premature baby. 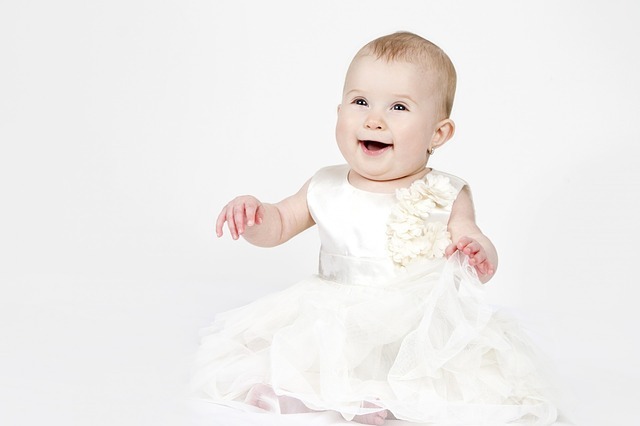 They will evaluate the development and skills of the baby in accordance to the time your baby would have been born. You can contact your doctor or health visitor in case of any questions. Let us see the different skills that contribute to baby milestones at 3 months. The innate reflexes as the startle reflexes displayed by the baby in the initial months will fade by now. Baby’s neck now probably has gained more strength. You can notice your baby wobbling the head little or no wobbling at all when held in the upright position. The strength of the upper body is developed enough to support the head and chest by three months. Whereas, the lower body strength is enough to kick and stretch the legs. Nervous system of the baby is maturing. The stomach of the baby can now accommodate more formula or milk. These changes enable the baby to sleep for long up to six hours or seven hours at a stretch. This is to say baby is now having lengthy night sleep. If the baby wakes up in the middle of the night, wait for 30 seconds before proceeding to comfort the baby. As there are chances, your baby might wake up only for few seconds and go back to the sleep again. If you are running to the baby at the first instance only then your baby might not learn to sleep once again on its own. You hear your baby crying in the night then go to the baby’s room immediately in the midnight. Check for the essentials may be your baby need a diaper change or it’s hungry. Do the necessary and put the baby back to the crib and make the baby sleep. Gradually, baby gets an idea that night time is meant for relax and sleep. Daytime sleep might have also got regular schedules by three months. Most of the babies at this time take naps for 11/2 to 2 hours during the day. Vision and hearing of the baby are improved. Sound and smile from the parents capture the attention of the baby. Babies at this age are more fascinated towards different kinds of music and bright colored toys. Faces mesmerize the babies and you might see the baby staring back at you when you see them. Your baby’s own reflection on the crib mirror is also gazed by the baby attentively. Child psychiatrist refers this stage to “hatching”. Baby is now developing into a unique human. Now babies start to react to the external stimulus. They also start to connect to the external world. The process of hatching includes communicating with the people and exchanging social smiles. Crying is no longer fundamental method of the baby to communicate. A three-month baby does not cry for more than one hour per day. If you notice the baby crying more than this or crying excessively meet your pediatrician. Your baby probably be facing any medical problem or reflux. There are numerous baby milestones by month. However, every baby is different and don’t frighten if the baby misses any of the milestones. Especially in the case of premature delivery the baby need more time. Below are some of the things your baby must do by three months. If the baby misses, these things schedule an appointment with the pediatrician to seek necessary advice. There are number of experts offering advice on parenting and especially on how to make the sleep in the night. Make a note of the advice but act according to your instincts. The Feber method that is allowing your baby to cry may not work well with your baby then you can switch to other methods. You are aware of what makes the baby comfortable. You may be advised by your friends or family members that starting the solid foods for the baby helps the baby to have uninterrupted sleep during the night. However, The American Academy of Pediatrics recommends only formula or breast milk until 4 months. You need to wait one more month to introduce solid foods. Solid foods can be given between 4 months and 6 months.